Syd Mead. After a long time, still the best concept artist and futurist in my opinion. I saw his work for the first time almost 20 years ago, that book had this image as a cover. I suddenly fell in love with design and illustration style. Today… exactly the same emotions. I read this article and found it very interesting, thought it might be something for you. 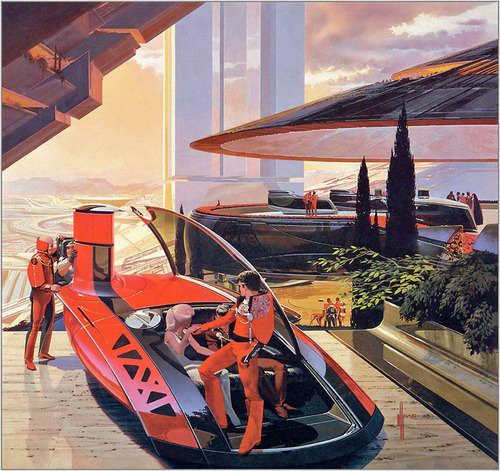 The article is called Syd mead and is located at http://turicacciatore.com/syd-mead/.